Excited to reveal my new Michael Kors Duck Boots that I just bought on sale for $100. They are not exactly the prettiest shoes ever, but they are perfect winter shoes - rubber, water-proof but with a high patent leather heel. They are also incredibly comfortable and I can wear them all day without slightest sign of discomfort. 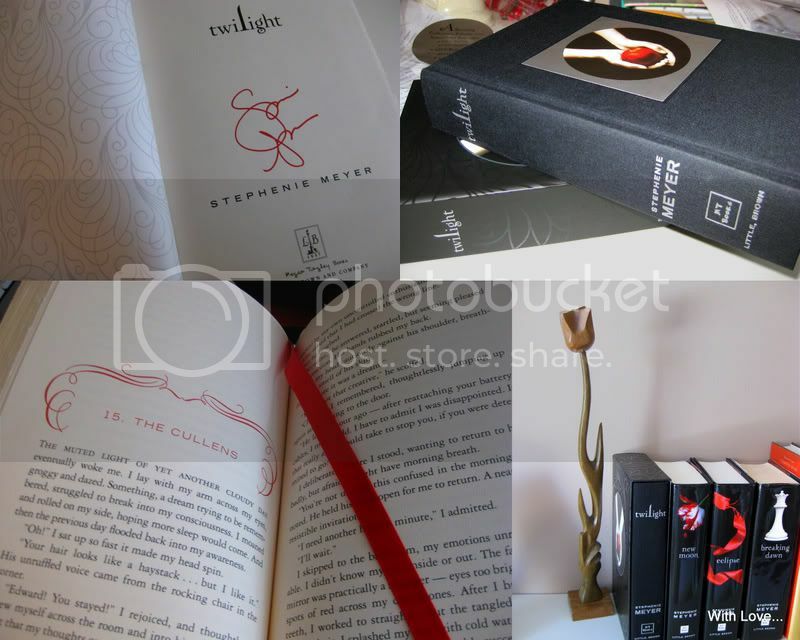 For my fellow Twilighters, I decided to also post photos of Twilight Collector's Edition Although the book is beautiful, it is only worth buying if you're (A) a book collector or (B) a crazy obsessed Twilight fan. In my case it is more B as opposed to A. The gorgeous book includes a slide- in case, and the book is covered in beautiful cloth. The inside pages are made of top quality paper with beautiful calligraphy, and the front page features Stephanie Meyer's signature. It also includes an attached ribbon book mark.